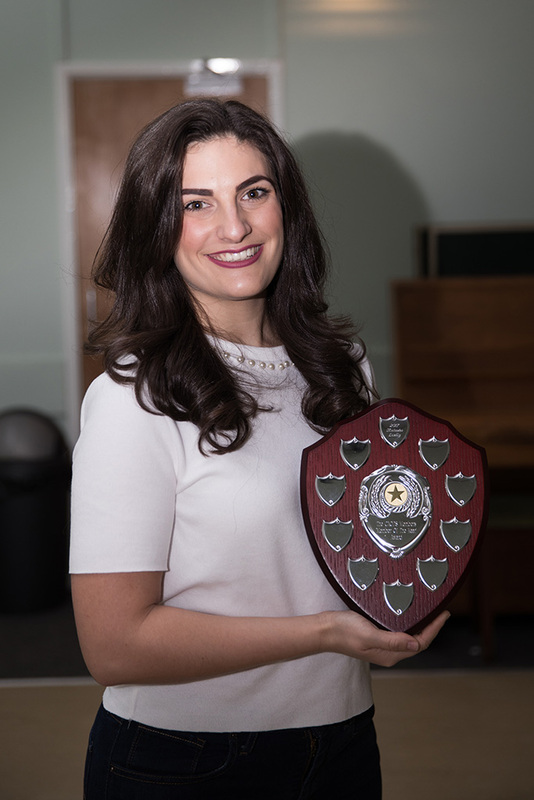 At our recent AGM in December we gave out some very special awards to some of our hard-working members. 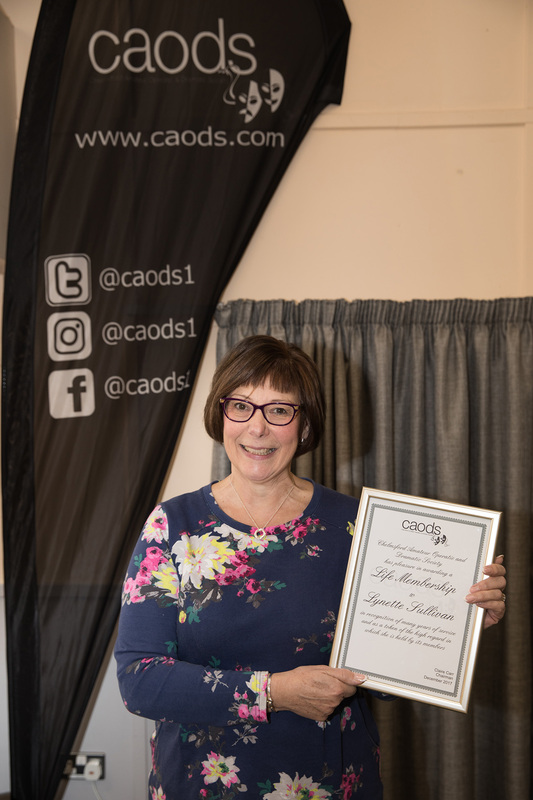 Natasha Lesley was nominated by the members of caods for the Member Award. 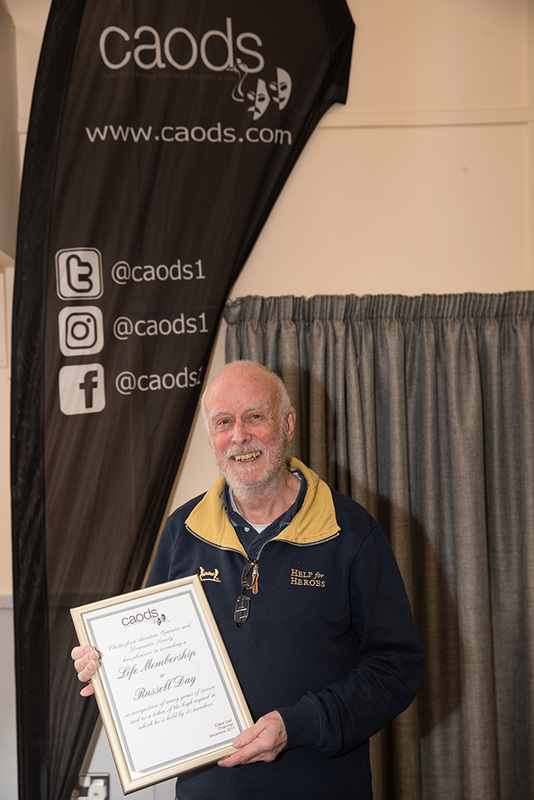 John Sullivan was nominated by the caods committee for the Committee Award. We also gave Life Memberships to two of our hard working members – Russell Day and John Sullivan. 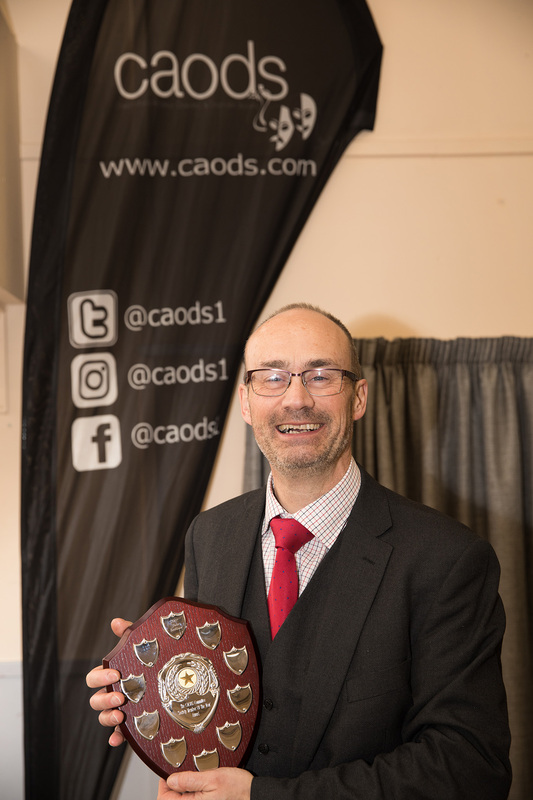 Thank you all for your hard work over the many years and for your continued support of caods. Natasha joined caods in 2015 for the production of ‘Sister Act’. Since then she has moved on to having a leading role in ‘Legally Blonde’, performed as an ‘Angel’ in ‘Anything Goes’ as well as assisting as dance captain for the same show. Off stage she has joined our publicity team and always supported caods at fundraisers and social events. Thank you for all your continued help Natasha. John has been a big part of caods for many years on and off the stage. As well as taking many roles in our productions – including ‘Thomas Andrews’ in ‘Titanic’, ‘Buffalo Bill’ in ‘Annie Get Your Gun’ and ‘President Roosevelt’ in ‘Annie’ – John has tirelessly helped caods with many technical and practical special effects. From creating the Beasts’ mask and the famous falling rose petals in ‘Beauty and the Beast’ to fireworks for the end of Act 1 in ‘Barnum’ John’s talents know no bounds. As well as help on productions, John can be found setting up sound systems for publicity days in the depths of winter and providing assistance for our many social events. Thank you for your continued help. Russell has been a member of caods for many years and has tirelessly taken on many roles during his time with us. From onstage, backstage, set building, committee member and many other tasks – he really is a face that you think of when you say caods. As well as all his help with caods, Russell was a founder of our youth society, Young Gen, in 1977. The group are celebrating their 40th anniversary and are going from strength to strength. Thank you for all your help, Russell. Lynette has been a huge part of caods for many years with various roles on and off stage. On stage Lynette has played various roles in the ensemble and in leading roles such as ‘Golde’ in ‘Fiddler On The Roof’. As well as being in many productions, Lynette has been Wardrobe Mistress for caods in many productions such as ‘Anything Goes’, ‘Barnum’, ‘Titanic’ and ‘Jesus Christ Superstar’ in recent years alone. Thank you for all of your help and we can’t wait to see the wonderful costumes for ‘Dirty Rotten Scoundrels’.